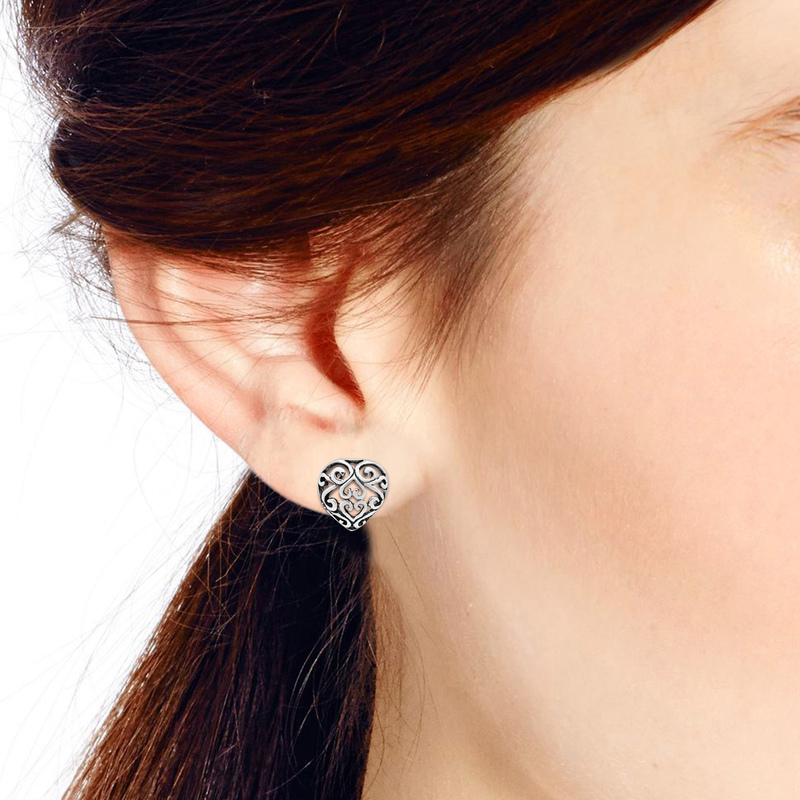 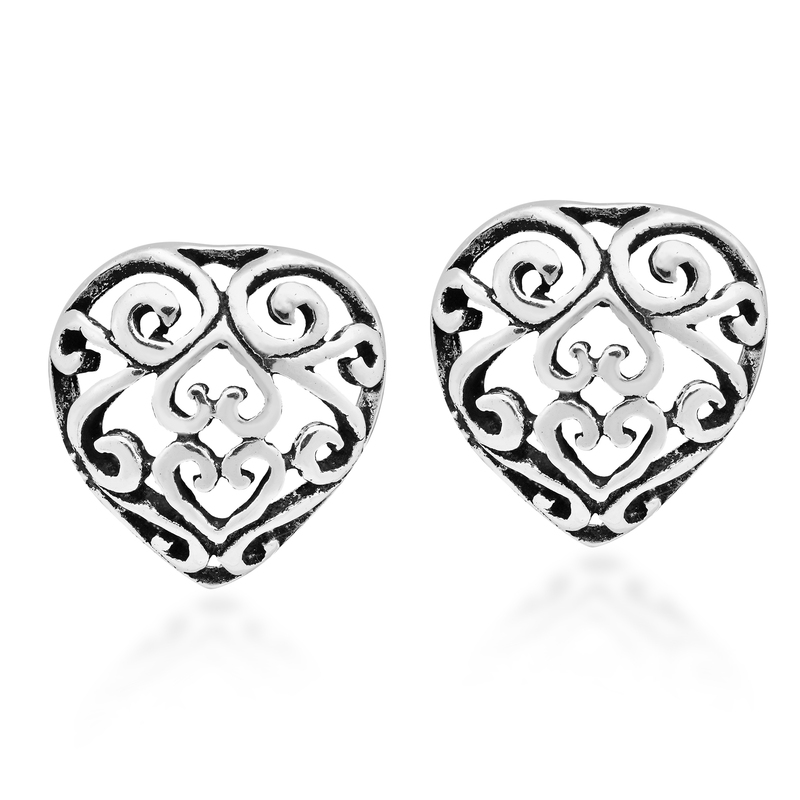 These stunning sterling silver stud earrings from Thai artisan Watsud are sure to add a touch of romance to any outfit. 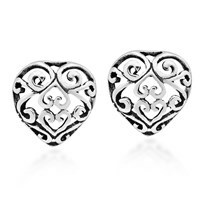 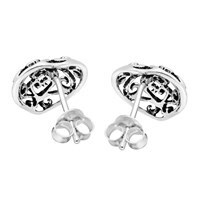 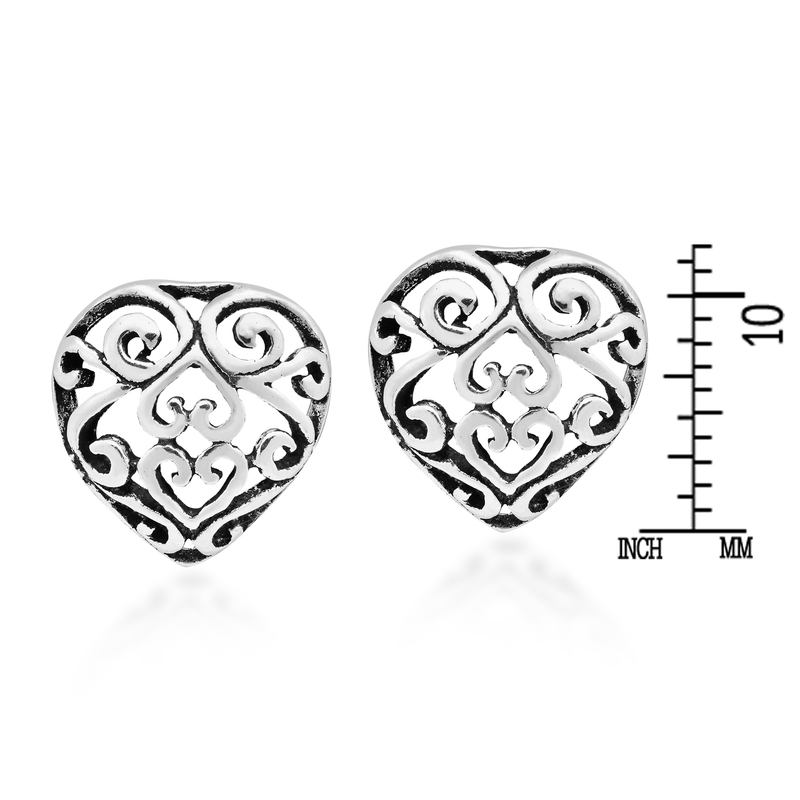 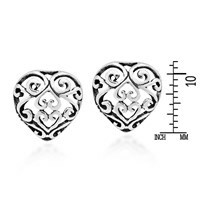 For this piece, raw metal is transformed into a cute heart shaped stud earring that is decorated with beautiful filigree swirls. 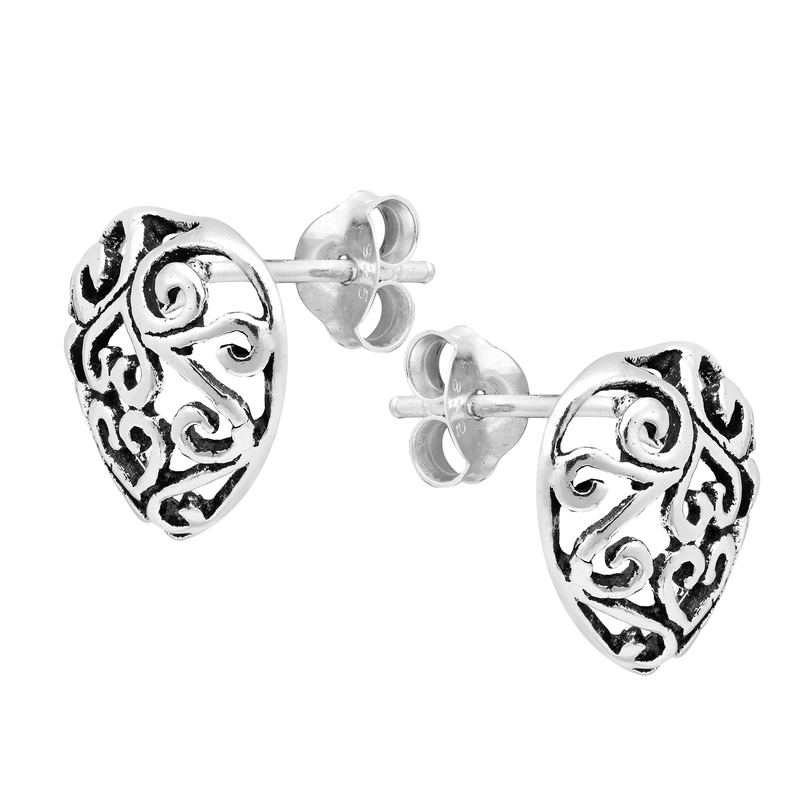 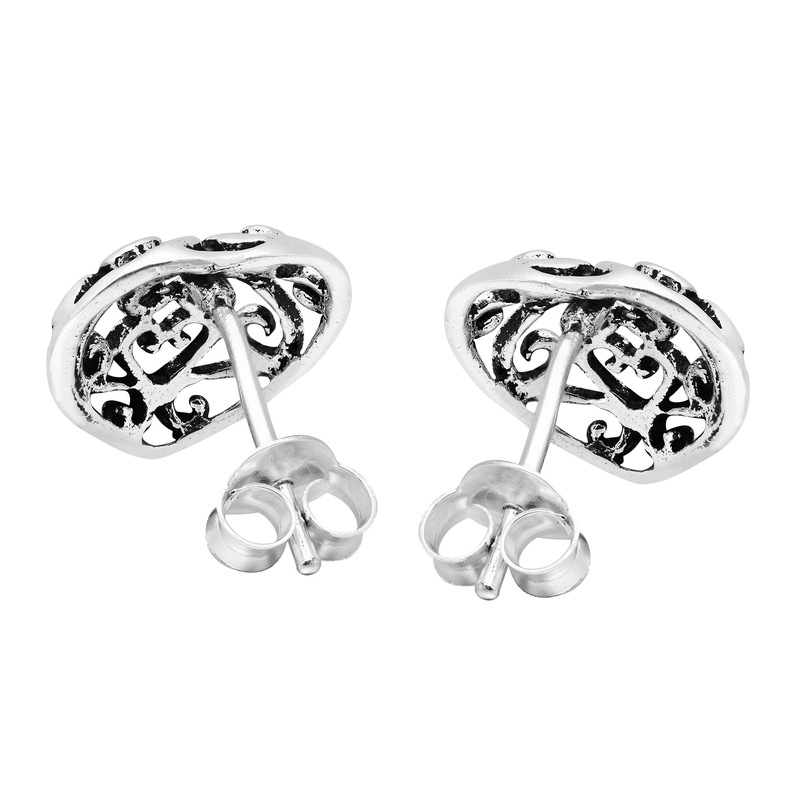 The intricate detail of these earrings pay testament to the artisan’s metalworking skill. 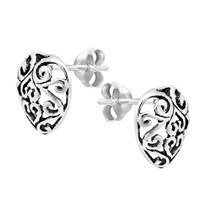 The classically beautiful design gives these earrings a vintage vibe that will look great with whatever you pair them with.